Drain The Swamp—Don’t Fill It Up! Let’s face it: we at in the Alt-Media do not mince words. When it comes to Mitt Romney being considered for the top position at State, Donald Trump has really hit rock bottom. And that is not political hysteria, as SOTN has no dog in this fight. First, Romney is the ultimate RINO, who answers to his own masters. Mitt Romney represents the epitome of the hard-core globalist crowd and breathes naked globalization with EVERY SINGLE BREATH. What else must be said to disqualify him for further consideration—yesterday! Every insider — both Republican and Democratic — knows that the only reason why Mitt Romney was chosen to run against Barack Obama in 2012 was to lose. He knew he was set up to lose and played the whole game perfectly… and gracefully. He never even put up a fight in the eyes of his ex-supporters, who are now quite avid with the “Never again Romney” slogan. In fact Romney’s campaign was so lackluster and incompetent that even the London bookies knew he was in for a fixed loss early in the betting season. Fewer bettors lost money during the totally rigged 2012 election cycle because Mitt was such an obvious dupe. By the way, no one likes a dupe after they realize they have been had. How, pray tell, does a supposed Republican Gov even get elected in a state as blue as Massachusetts? They don’t, unless they have agreed to compromise majorly on all the critical issues that liberal states demand accommodation. Not only did Romney make many a deal with the ultra-liberal devil, he passed his scaled-down version of Romneycare, which is way too similar to Obamacare. The only way to really evaluate Mitt’s conservative credentials is to look closely at his signature legislation. More importantly, it would be telling to see what legislation he enthusiastically signed that emerged from the Democratic legislature during his term. The bottom line here is that Mitt is a classic RINO. If you look like one, talk like one, walk like one—you must be a RINO. The only difference with the Mittster is that he looks like he just walked off a Hollywood set. He also has a picture-perfect resume with those liberal university bastions of Harvard and Stanford on his CV. How’s that for a predatory capitalist for you. What isn’t contained in the Stockman exposé is that Bain is actually a poster child for war profiteering and disaster capitalism at its very worst. These are the companies that exploit theaters of war and natural disaster areas which are especially vulnerable to such corporate vultures. Is this the kind of character that the nation needs, at this particularly delicate moment, leading the State Department? Especially after so much damage has been done to America’s reputation worldwide! Of all the GOP heavyweights who acted out during this past election season, Romney’s behavior was as bad as it gets. He demonstrated great disrespect toward Trump and his campaign staff. That’s to be expected from a guy who literally threw the last election. Guilt is often projected on the current candidate, especially one who was as determined to be the winner AGAINST ALL ODDS. Romney just couldn’t deal with Trump going full bore when he himself turned in such a miserable and phony performance. We’re talking about a candidate who was all form and no substance. Trump, on the other hand was all substance and no form. This is why Romney was so caustic and irreverent toward him throughout. On the basis of his complete lack of respect for President-elect Trump, and his trampling on the sensibilities of the Republican Party, Mitt Romney ought to be dispatched to the political waterless region for the rest of his life. Not only is he a flaming NWO globalist, he is untrustworthy to a fault. Why, then, would Trump want anyone like him so close who could stab him in the back—both figuratively and literally. After eight profoundly disastrous years of Obama, the State Department is in dire need of a complete overhaul. Romney represents more of the same, and possibly much worse. Such a bad personnel move, therefore, would serve to greatly undermine President Trump’s credibility more than any other appointment. America’s standing in the world has been so battered with 8 long years of miscreants working all over the place at State, that a Romney tenure would all but seal the nation’s reputation as a rogue nation. Surely Trump knows just how important this position is and would reserve it for one of his most trusted and forward-thinking confidantes. If not State, Trump can always consider Mitt Romney for the U.S. ambassadorship to Granada, or even Tuvalu. In this way Romney can continue his pampered lifestyle and jet set work-style, flying to and fro from the homeland but not in the position to do any real damage. Romney’s oversight of the 2002 Salt Lake City Olympics was fraught with questions about fraud and budget woes. Some says it was a manufactured crisis that was quite purposefully engineered so that Romney could swoop in and save the day. Eventually the Olympics had to be bailed out in classic Romney style where enrichment of his cronies always comes at the expense of the public. The obvious benefit to Romney was that he was able to polish his public persona while burnishing his political credentials in order to run for governor of Massachusetts. The whole Olympic spectacle soon became more about Romney than anything else. In fact, he launched his 2002 gubernatorial campaign right after the closing of the Olympics. Pursuing such a high-profile governorship in a traditionally liberal northeastern state was a transparent political move to present a bipartisanship approach and extraordinary willingness to compromise—on everything. Succeeding in this manner not only made him palatable to Democrats and Republicans alike, it conveniently set him up for a presidential run. 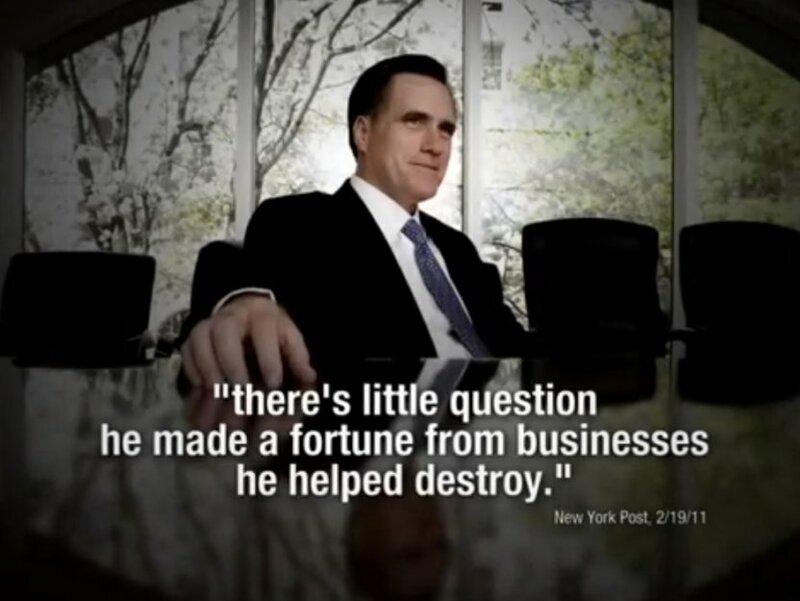 Mitt Romney is no George Romney. The elder was known for his principle and integrity. His father was also deeply religious man whose supporters truly respected him as a man of his word. Mitt on the other has fails to inspire. He’s a corporate businessman who has many dubious relationships throughout the entire political establishment which are suspect. By suspect, many of his financial backers and political bundlers are directly connected to the Council on Foreign Relations, The Trilateral Commission and The Bliderberg Group. Clearly, the man is a dyed-in-the-wool globalist who has no place whatsoever in an independent-thinking, nationalist administration. When in doubt, keep ’em out! Do you hear that, Donald?